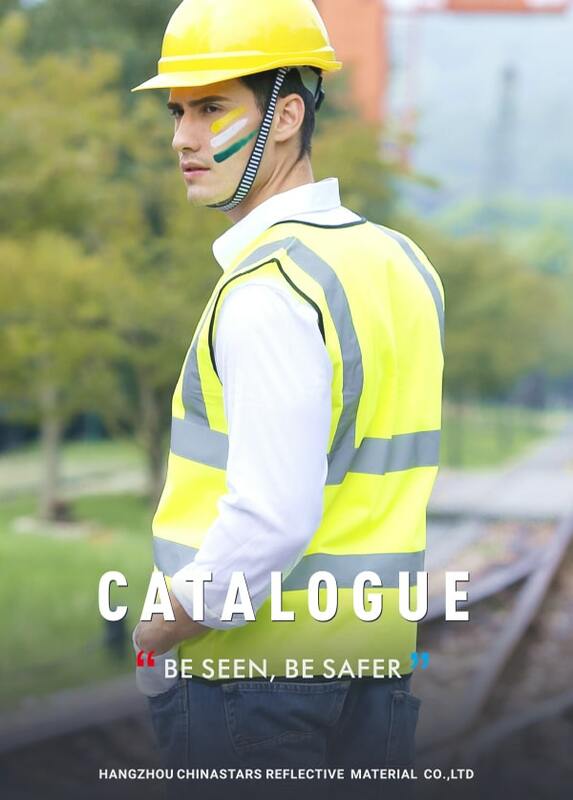 1.Product meets ANSI/ISEA107-2010 Class 3 and EN ISO 20471:2013 performance class 3 requirements and uses all certified reflective material. 2. 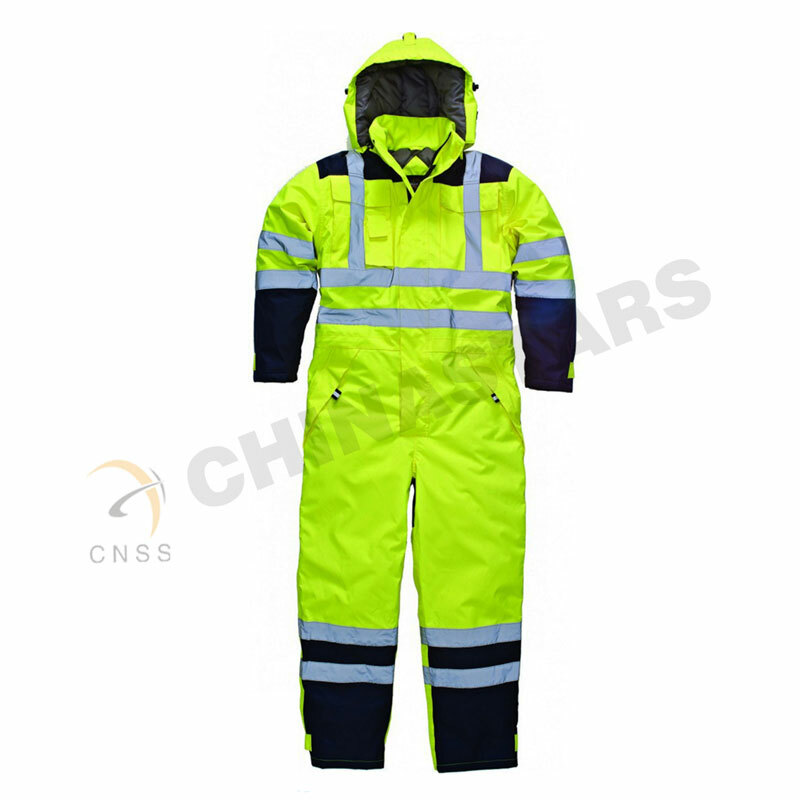 High quality safety coverall offers both hi viz and waterproof qualities. 3. 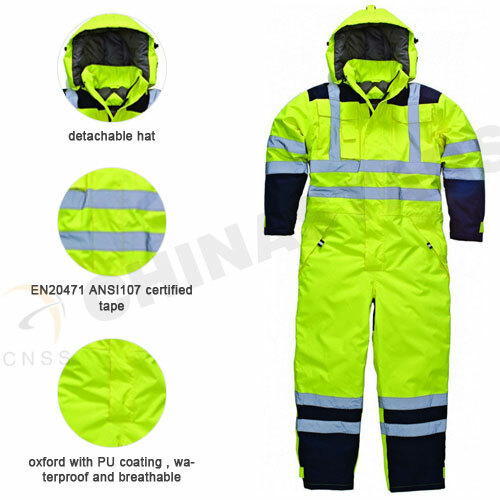 Waterproof taped seams, Internal knitted storm cuffs, full lenghth side leg zipper, drawcord adjustable hood offers excellent waterproof protection. 4. 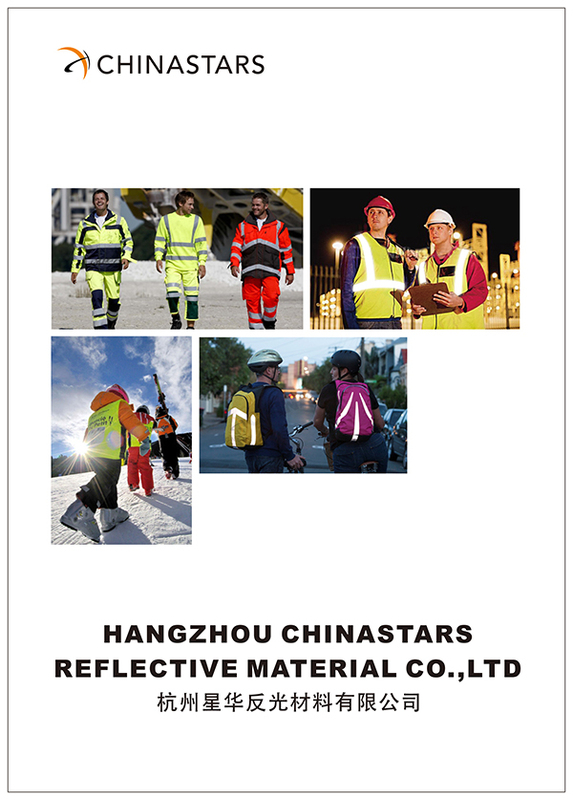 Logo imprint and coverall customization available.